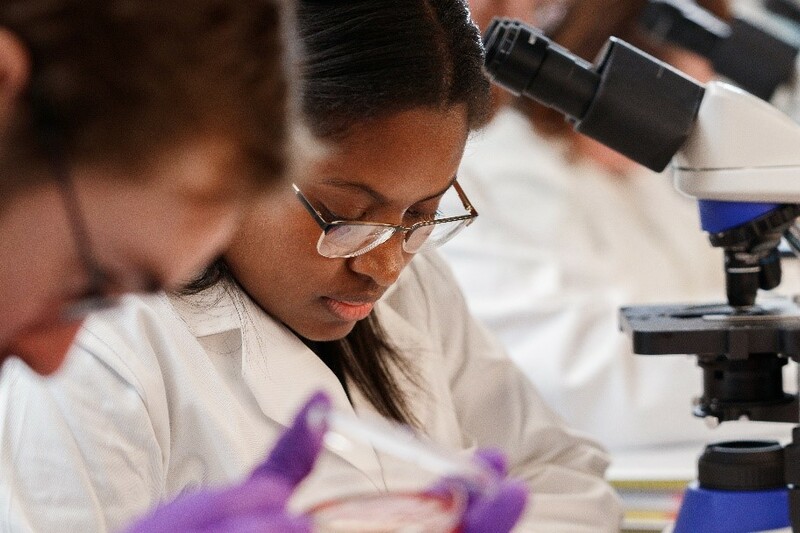 Licensed Medical Laboratory Technicians (MLT) enrolled through the degree completion pathway, will focus the majority of their academic career in taking the general education, biology, and chemistry courses required to advance from an associate’s to bachelor’s degree in the biological sciences in line with the requirements for MLS certification through the ASCP. Students need to enroll in IUSB under the MLT to CLS Degree Completion designation. Students will then meet with faculty advising to determine the required general education courses needed to obtain a bachelor’s degree and develop a plan for course completion. Upon completion of these entry-level courses, students will begin taking courses within the professional phase of the CLS program. Unlike traditional students, Degree Completion students are not required to enroll in the majority of CLS didactic and laboratory courses or the clinical practical rotation, as many MLTs are already educated in this material. However, both a selective clinical practical rotation tailored toward students needing additional hands-on training in an area of the laboratory and advanced CLS courses in in chemistry, hematology, immunology, and microbiology as well as laboratory management and ethics are required. For additional information about the program, curriculum, or application process, you may complete the information inquiry form on the CLS home page or contact a faculty member directly. Faculty contact information is also available on the CLS home page.